Version 2 of the most popular game, Temple Run is now available for iOS users in the App Store. The launch of the Android app is expected very soon. The concept of Temple Run 2 remains the same as the previous version. 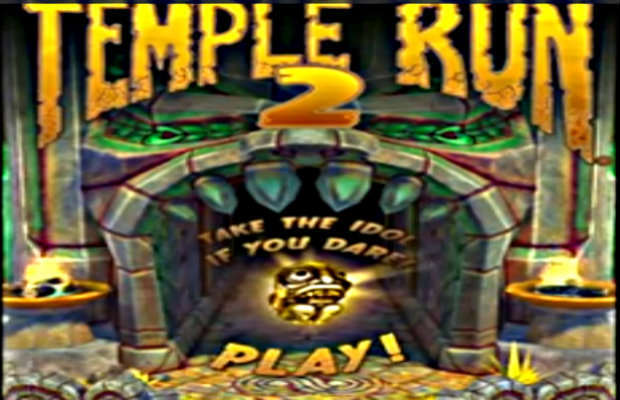 Temple Run 2 offers a lot more excitement with new features like navigating perilous cliffs, zip lines, mines and forests as people try to escape with the cursed idol. Users will have to run as far away as they can from the monkey. There are many obstacles in the path and users will have to swipe and tilt the device to avoid them. Zip lines, twisted paths and a cart are the other elements that have been added to the game. The app is more thrilling with a bigger monkey. The game now has many new features like wonderful graphics, new organic environments, more obstacles, power ups, achievements and other special powers for every character. Apple recently revealed in a press release that 40 billion apps were downloaded from the app store. Imangi Studios found that their game Temple Run got downloaded over 75 million times in 2012. The company teamed up with Disney in June 2012 and came up with a special edition of the app named Temple Run Brave.